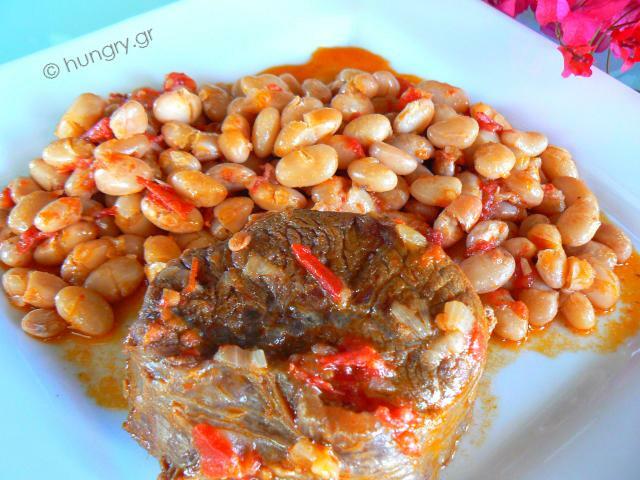 Beef braised with beans cooked in red sauce. 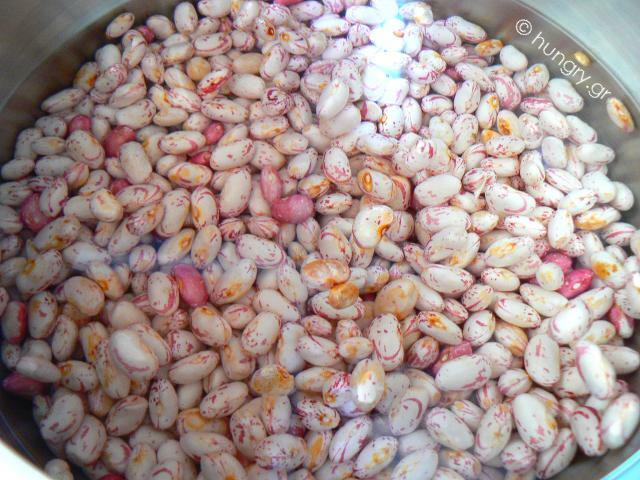 Heirloom beans look like small, colorful beads. They have a light pink to red or purple color with red spots on them. 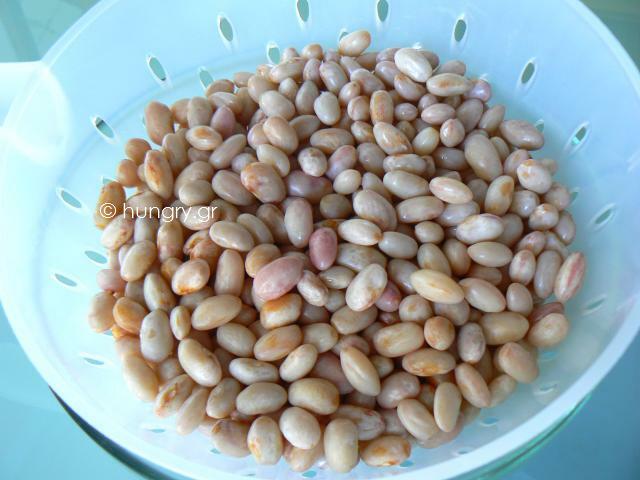 It's a delicious variety of beans, which we find in the market in the summer. 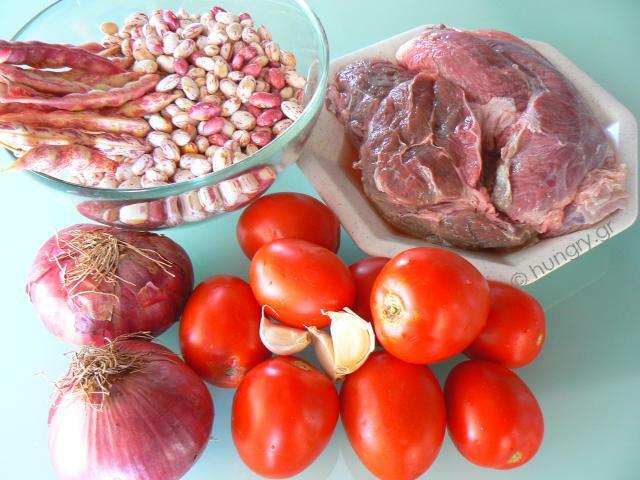 Peel the outer skin of the beans, wash and boil in a liter of water for 5′. The weight of the beans after peeling will be half of the original. Drain in a colander and set aside for later. Wash and drain the meat. Cut the meat in pieces. 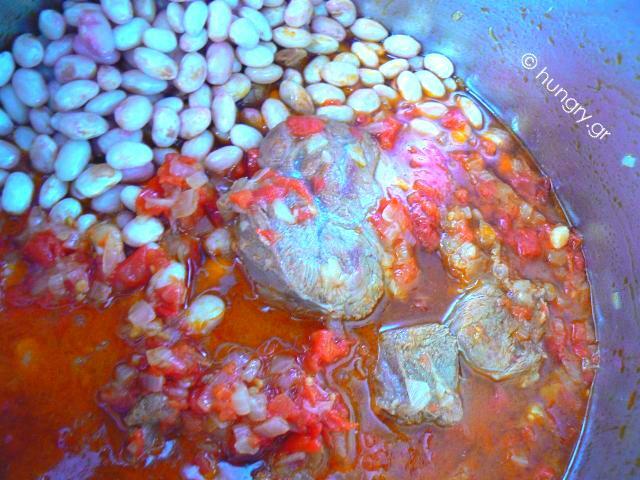 Put the olive oil and the meat pieces in the pressure cooker. 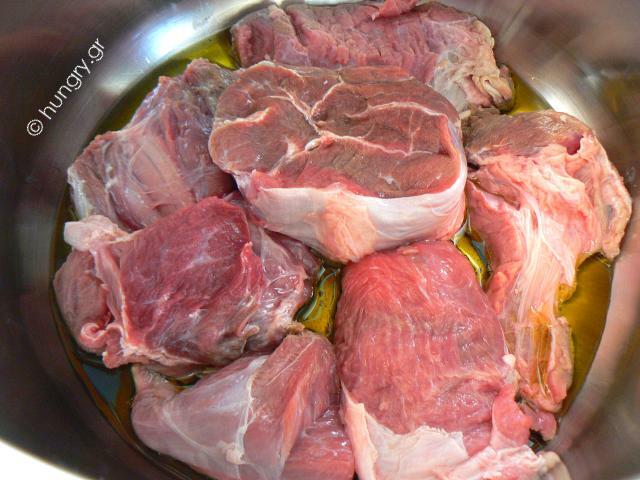 Sauté the meat on all sides to get a light golden brown colour. 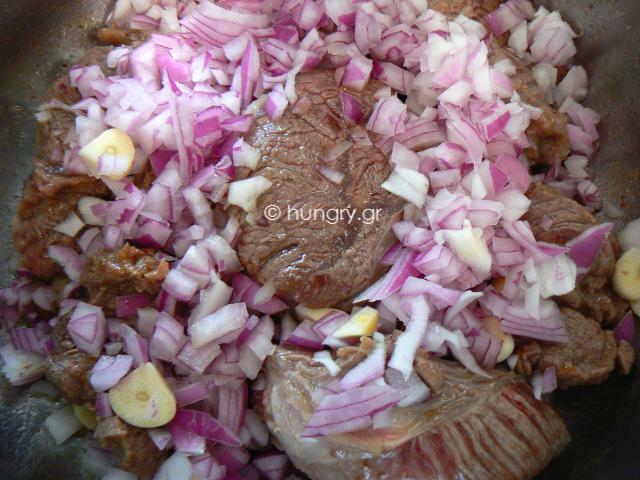 Chop the garlic and onion by hand into small cubes and add to the cooker. With a spoon, turn the onion a few times until it get a shiny colour. …and add to the cooker over the meat. 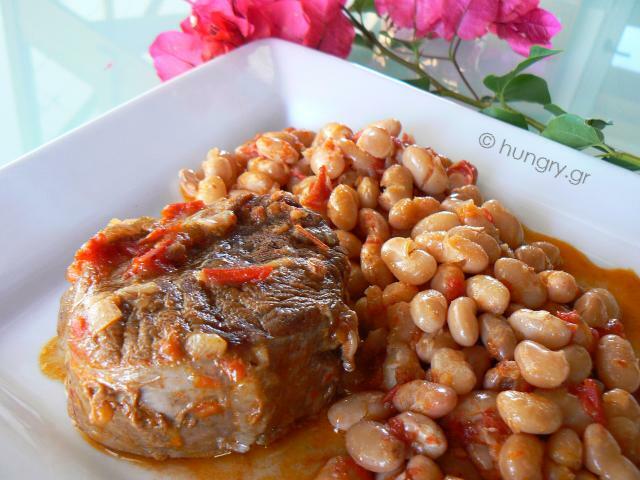 Close the pressure cooker and simmer for 20′. 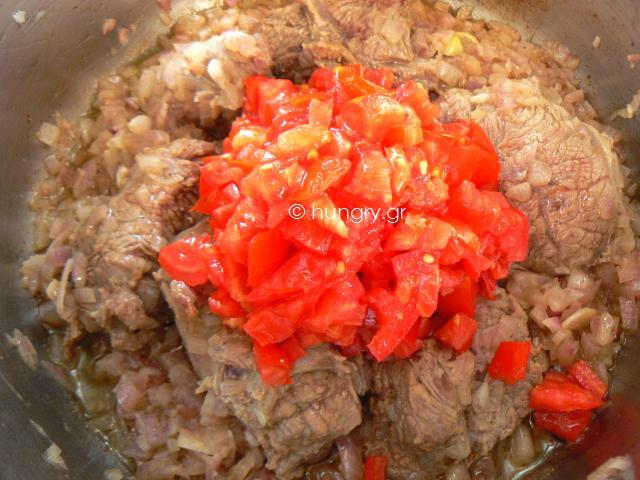 Uncover the cooker and with a fork test if the meat has softened and is almost ready. 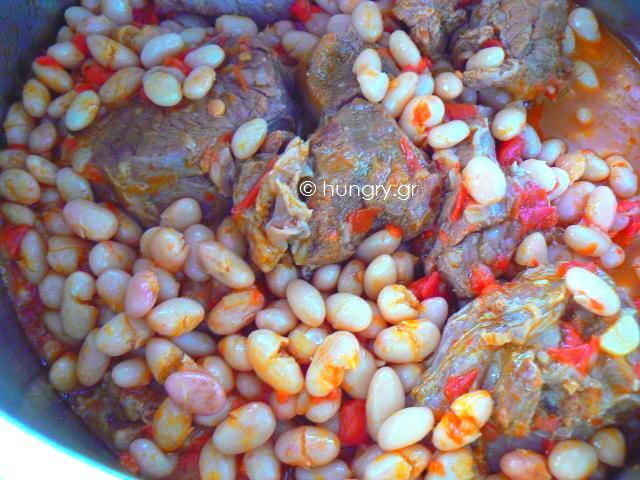 Then add the beans and a glass of water and stir thoroughly to mix with the meat. Close the cooker and cook for another 10′ or until the food is ready. Finally add salt & pepper. 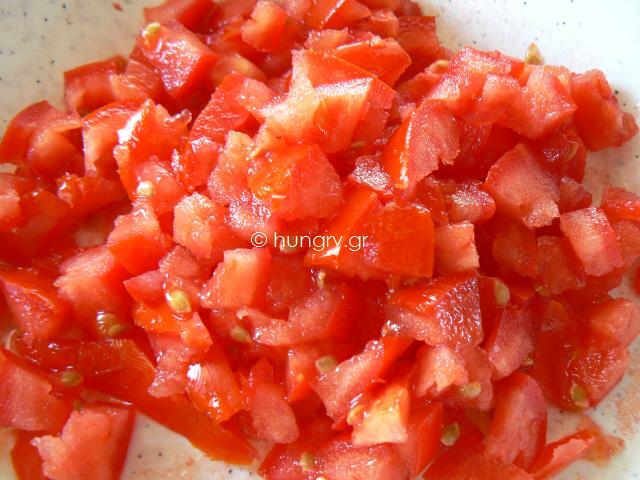 It is recommended to cook this food in the pressure cooker, because the cooking time is reduced and the food is left intact by not having to stir often.